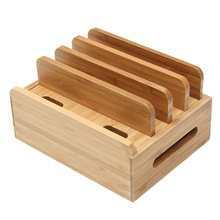 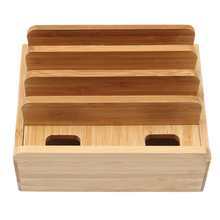 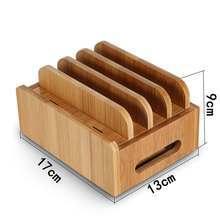 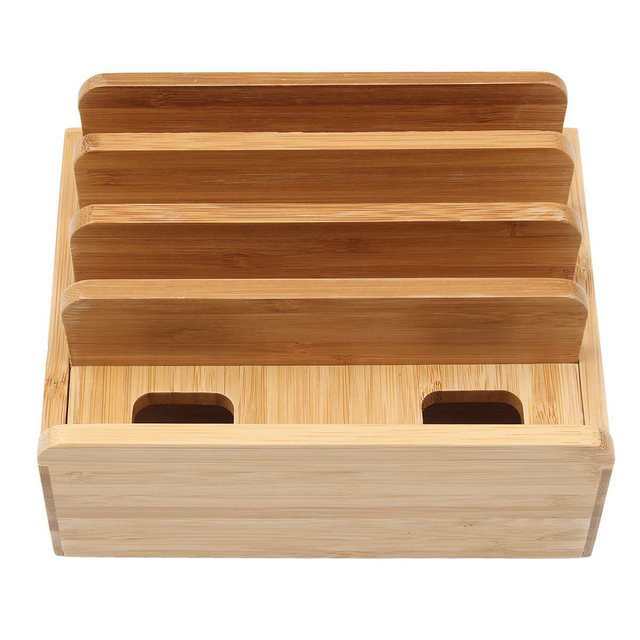 100% Brand new and made of recyclable bamboo.Compact and great for space-saving design.Protective varnished surface, easy to clean. 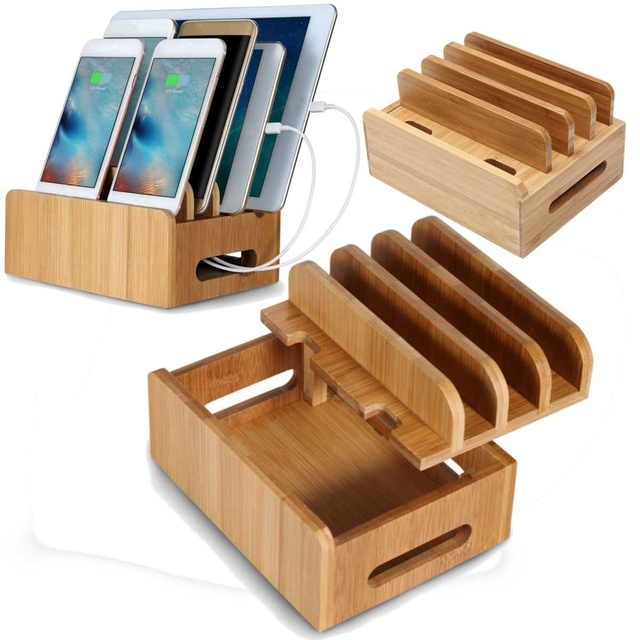 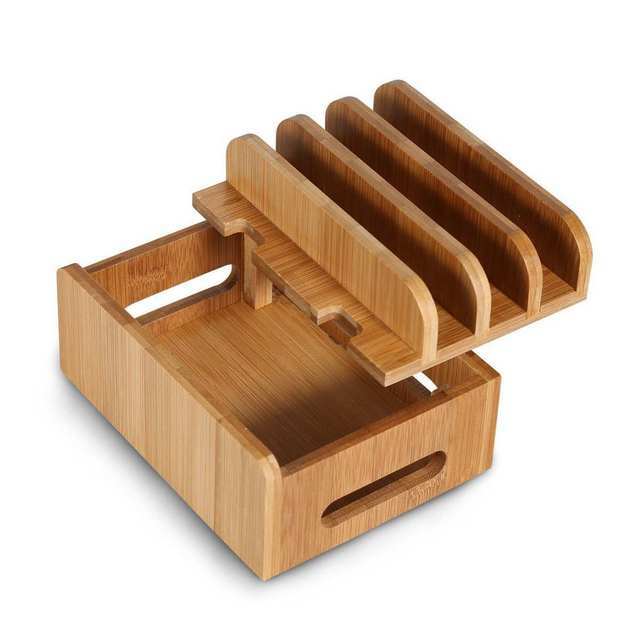 Made of Bamboo wood, as solid build for better stabilization and a natural look for a classy Chic home or office for all your mobile devices. 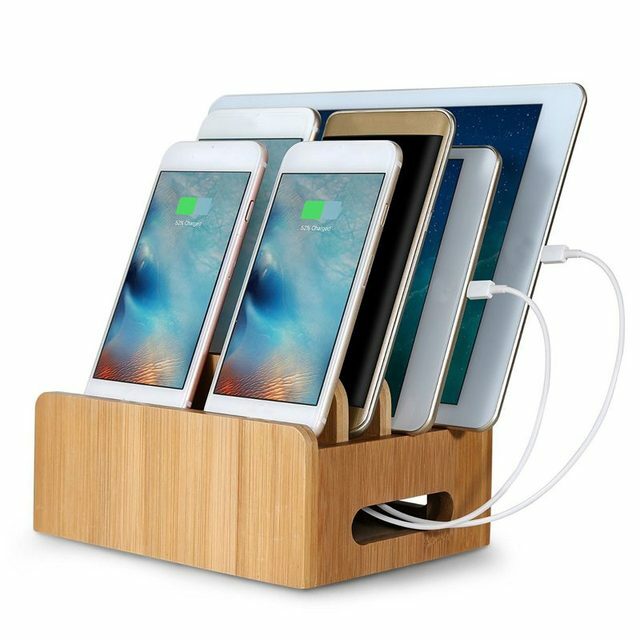 It is the perfect desktop accessory for your tech organization problems. 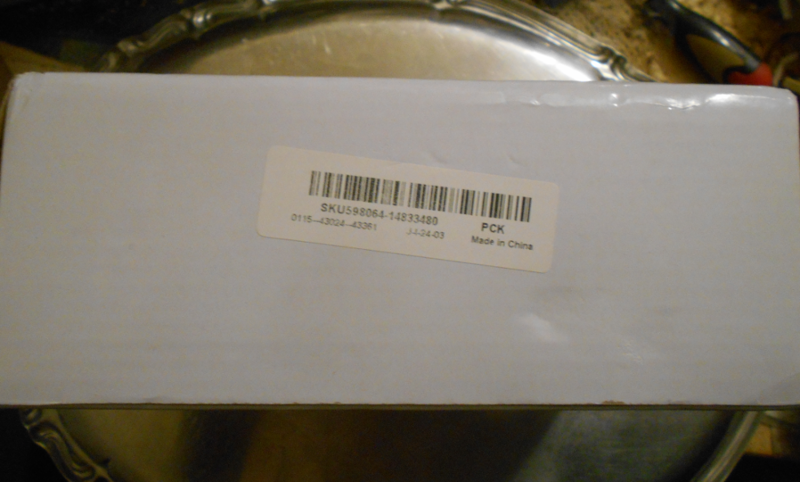 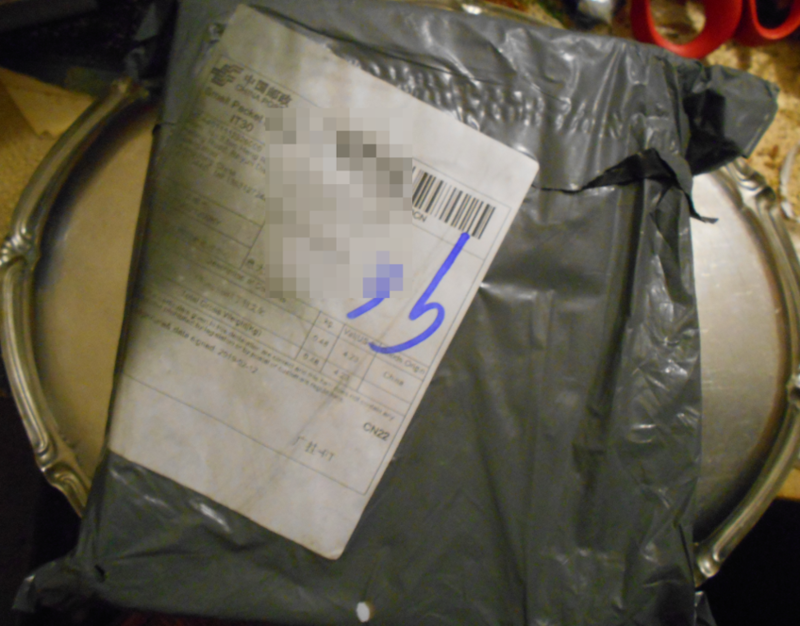 There’s enough space to store two tablets and other mobile devices like smartphones, cell phones or portable devices.